You are here: Home / Presenters 2012 / Lynne D. Kitei, M.D. Dr. Lynne Kitei is an internationally acclaimed physician and health educator who pushed aside her successful medical career to pursue The Phoenix Lights book and internationally award-winning Documentary project. She was leading the cutting edge era of early disease detection and prevention as Chief Clinical Consultant of the Imaging-Prevention-Wellness Center at the world renowned Arizona Heart Institute in Phoenix, Arizona until coming forward, after seven years of anonymity, as a key witness to the historic and still unexplained mass sighting throughout Arizona on March 13, 1997. 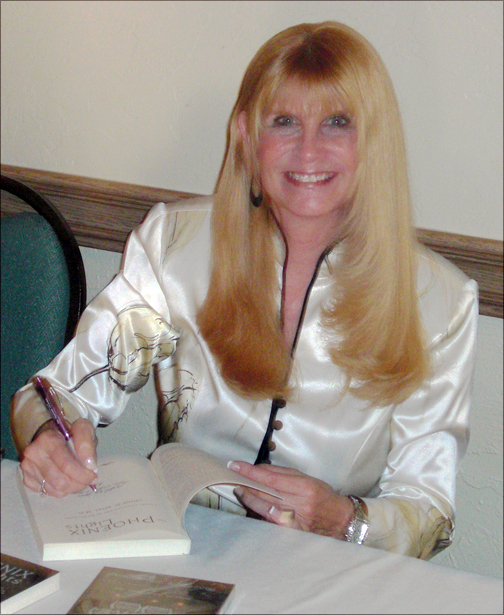 Dr. Lynne graduated with a Bachelors of Science degree in Secondary Science Education, with minors in Communication and Voice from Temple University in Philadelphia, PA. 1970 and an M.D. Degree from Temple University School of Medicine 1974. She completed her post-graduate studies at the Medical College of Pennsylvania. Before her medical training, Dr. Lynne appeared in over 30 featured and starring roles in professional musical comedies including Alice in Wonderland with Sherman Hemsley, Oklahoma starring Gordon MacRae, Guys & Dolls starring Betty Grable, and understudied for Barbara Eden in The Sound of Music. She also played the role of “Florence Arizona” in the 20th Century box office hit Raising Arizona starring Nicolas Cage, Holly Hunter, Frances McDormand, and John Goodman. Dr. Lynne has been called the “woman pioneer” of medical communications in TV Guide after creating and producing innovative TV News health reports for NBC in Philadelphia in 1976. Since that time, Dr. Lynne has dedicated over 30 years to global public awareness, wellness, and health education. She has appeared as the resident health reporter for NBC affiliates in Philadelphia and Phoenix, and has been featured on USA Cable, FOX TV News, FOX in the Morning with Mike & Juliette, ABC, CNN and CBS affiliates, Comcast, NBC Japan, MSNBC, Dateline NBC, National Geographic TV, The Travel Channel, and the History Channel. As the producer, writer, and director of the “You Make It!” health video and workbook curriculum series, Dr. Lynne has been recognized with the Telly Bronze Award in 1995, the National Education Film & Video Festival Silver Apple Award in 1994, the New York International Film Festival Finalist Award in 1992, and 1993, and many others. She worked under the auspices of the Arizona Community Foundation for 20 years to help fund and distribute her revolutionary prevention/education programs to schools, churches, youth groups and libraries throughout Arizona. Just Say KNOW to AIDS, Just Say KNOW To Drugs, Teen Pregnancy… Children Having Children and Drugs Don’t Make IT! are currently being distributed worldwide by Discovery Education. Dr. Lynne’s innovative and renowned endeavors have been featured in publications including TV Guide Magazine, New Dawn Magazine, Runner Magazine, Physician’s Management Magazine, Phoenix Magazine, UFO Magazine, National News Network, The Philadelphia Inquirer, Spirit Guide, L.A. Times Magazine, East Valley Tribune, What is Enlightenment Magazine, National UFO Magazine, Paradise Magazine, Brazil’s Revista UFO Magazine, Open Minds Magazine, and numerous Arizona Republic Newspaper articles. She has also been recognized in the “Who’s Who of American Women” and was chosen as Woman of the Year in Pennsylvania. Dr. Lynne has been a keynote speaker at the University of Arizona Tucson Medical Center with Dr. John Mack, Bay Area UFO Conference, Hollywood National UFO Conference, Borders Book Tour, Barnes & Noble Book Tours, Washington D.C. X-Conference, MUFON International Symposium Denver, CO, Cosmic International Conference, Italy, Glendale, AZ City Hall, Paradise Valley Community College Performing Arts Centre, Arizona State University Physical Science Auditorium, ASU Anthropology Museum Exhibit, Atlantic Coast UFO Conference, Trump Plaza, Atlantic City , N.J., Tri-City Prep H.S., UCLA Skype interview, International Institute of Human Sciences, Montreal, Canada, CSETI Conference Rio Rico, AZ, PA MUFON Annual Conference, numerous libraries throughout the U.S., and Scottsdale’s Harkins Shea Cinema – sold out screenings and presentations. The Phoenix Lights…We Are Not Alone Documentary has also celebrated special screenings at the historic Majestic and Mann’s Chinese Theaters, as well as at Warner Brothers Studios in Hollywood, California.